Wrong Medication & Prescription Mistakes | Kennedy Hodges L.L.P. Receiving the wrong medication from a pharmacy happens more often than people think. A pharmacy error lawyer can help you if you've been given the wrong medication. These are just some of the ways medication errors can occur. 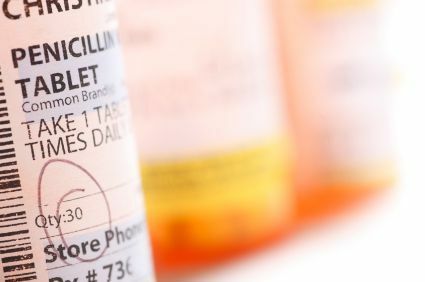 The consequences of medication errors can be severe, and in some cases fatal, and they can happen to anyone regardless of where you live or who you are. You may have suffered from 24-48 hours of vomiting, headaches, nausea, sleeplessness, diarrhea or any combination of these symptoms. Many of our prospective clients question whether it's worth their time to pursue a pharmacy error claim. However, these claims can have many benefits. Reporting these mistakes serves two purposes. (1) It makes the pharmacies aware of the mistakes to prevent injuries to others. (2) Even claims for temporary injuries have surprisingly high economic value. What to do if you have suffered because of pharmacy malpractice. You can order our free book, "How to Make Pharmacies Pay for your Injuries Caused by Medication Errors" to learn more about taking action because of a medication error. You can also call our board certified attorneys to start your free case review. If you have been the victim of a medication error the last thing you should worry about is trying to deal with a pharmacy who will deny your claim. When you have an attorney on your side the pharmacies pay attention. If you have suffered because of an error by a doctor, hospital, pharmacist, or a pharmaceutical company you should speak to a board certified attorney today. Even if you do not believe you have severe injuries the future consequences of prescription errors are unknown. Download our free books to find out how to get a pharmacy to pay for your prescription error damages. You can also call our office at 888-526-7616 to speak with pharmacy error attorneys who are board certified in personal injury trial law and start your free case review today.